With less than 2 weeks to go before the start of the 2019 Rugby Union 6 Nations, the excitement is hotting up. With the 2019 Rugby World Cup later in the year, there is no better preparation for the northern hemisphere teams than the 6 Nations. This tournament may prove pivotal in terms of success later in the year. And for our sake let’s hope the northern hemisphere teams put up a good fight at this year’s World Cup. We look at the odds for each team and rate their overall chance of success in the 2019 6 Nations tournament. Priced at 4/5 or 1.80 in decimal odds, Ireland are the clear favourites heading into the 2019 6 Nations. Ireland have been in great form in recent months and they’ll be looking to continue that form in Joe Schmidt’s last year as head coach. It’s fair to say 2018 was a great year for Ireland Rugby. They easily won the 6 Nations, winning all 5 of their games. They won their three series test against Australia in June and they beat Argentina and the All Blacks in two of their Autumn Internationals. The first game of this year’s 6 Nations could prove pivotal as Ireland host England, the second favourites to win the title this year. England haven’t won away in Ireland since February 2013, so the stats certainly back the home team. However, the games between these two sides are always incredibly close, so a few points is likely to be the difference. In my view, the winner of this game is likely to be the firm favourite for the tournament. There is positive news for England, there’s some doubt surrounding Johnny Sexton’s fitness which would benefit England, no end. Ireland are a different team without their playmaker at number 10. All in all, you’d be a brave man to bet against Ireland in the form they’re in. England had some brilliant performances and some, well, very mediocre ones. They should have recorded a win against the All Blacks in the Autumn Internationals and they arguably should have beaten South Africa in the test series in the Summer. But that seems to be the difference between Ireland and England at the minute, Ireland get across the finish line! I’m still not sure head coach Eddie Jones knows his best starting IV when everyone is fit. We’ll wait to see who he picks for the first game against Ireland. At odds of 10/3, I think England could be a solid bet and I’ve got a feeling they may pull this one out the bag. They’re also the team carrying the least amount of injuries. England’s overall chances really depend on getting a win in their first game in Dublin. Not far behind England in terms of odds, Wales are always there or thereabouts. Wales had a great end to 2018, winning all four of their Autumn International matches against Australia, South Africa, Scotland and Tonga. Having said that, Wales have a slight issue with injuries at the minute with a number of key players currently sidelined. However, head coach Warren Gatland hopes to have some back before the first game kicks off. Having not won the tournament since 2013, Wales would love to bring the trophy back to the Millennium Stadium for what would be a great sending off for Warren Gatland as he leaves after the World Cup later this year. At betting odds of 14/1, it’s fair to say Scotland are getting into outsider territory. However, there’s not been much hype around Scotland in the run up to the 6 Nations this year. They’re keeping themselves, very much to themselves. A tactic that may work to their advantage as the tournament unfolds. 2018 was a mixed year for Scottish Rugby. They won two of their Summer tests, although they were playing relatively weak teams. They also won two of their Autumn Internationals against Argentina and Fiji. Overall I think Scotland will finish fifth in the table, above Italy and behind France. With the same odds as Scotland for this years 6 Nations, France are understandably respected but they are also keeping very quiet. It’s always very difficult to say which French will turn up. Sometimes they’re brilliant and other times they are appalling. The team have been going through a major shift in recent years, drafting out old timers and bringing in new, more dynamic players. These shifts take their time but it will be interesting to see how they fare at the 6 Nations and the World Cup later in 2019. France have not won the 6 Nations since 2010 and to win has to be a goal within the next few years. I wouldn’t be surprised if they put in the odd, brilliant performance with their lack of experience letting them down in the crunch games against the likes of Ireland and England. With an opening game against Wales in Paris, we’ll get a better idea of which French team we’re talking about. You’d be a brave man not to put your money on a French win for that first game. Perhaps it’s too early to write them off at this stage, with such a young and dynamic team, anything could happen. At 1000/1, Italy really are the underdogs heading into the 2019 6 Nations. However, the Azzurri continue to improve each year and have put up some great fights over the years. Their innovative style causing England serious problems in 2017 springs to mind. Under head coach Conor O’Shea, Italy have been playing some free flowing, dynamic Rugby that certainly tests other nations’ ability to adapt mid game. However, I think the competition is a little too strong this year and Italy will struggle to record any wins, especially away from at home at least. The 2019 6 Nations is set to be a cracker and you don’t want to miss out. 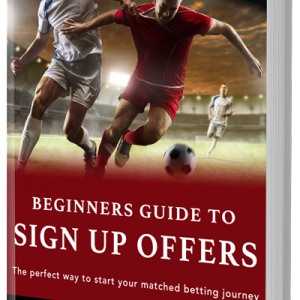 Bookmakers will be offering plenty of promotions so stay tuned for all the latest.